Get your dream patio without paying upfront. Zero interest finance available. We specializes in the construction of different types of patios, alfrescos, carports, pergolas and sheds. Thank you for checking our website! 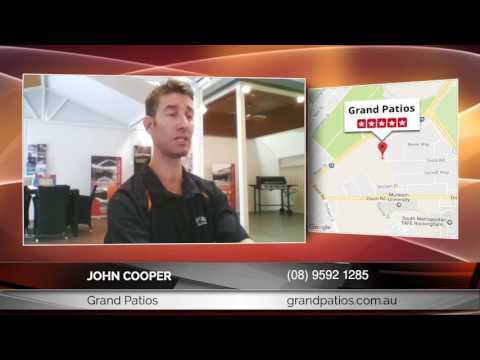 We’re Perth’s Patio Builders & Specialists with over 25 years experience working on outdoor home improvements, designs & constructions. 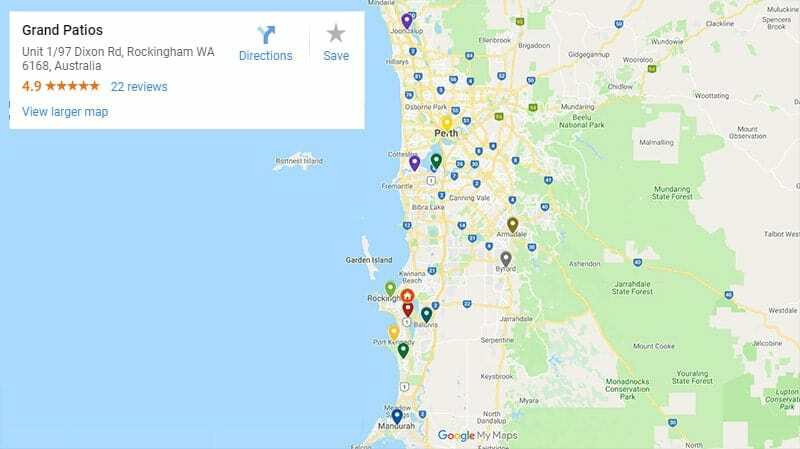 Areas we service include Perth, Joondalup, Mandurah, Baldivis, Waikiki, Byford, Port Kennedy, & Rockingham regions. We know it, home renovations are exciting yet overwhelming as there is so much to keep in mind like council approvals, document & project management, measure and quote service, finances, designs to choose, company to hire, and the list goes on. In times like this, you want the builders who can give you a result you’re happy with at an affordable price and even not paying upfront if possible – and that’s where you need us. We take pride in our stress-free services, offering each client with our wide range of Australian Outdoor Living Options that are fully customised upholding world-class standards. 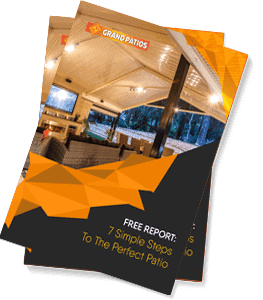 WHY Grand Patios? Because we’re insured, licensed, reputable, trustworthy, & highly experienced Patio Builders. We’re an honest company with over 25 years experience in the home improvements, decking, sheds, carports, custom design outdoor living space, and commercial construction industry. We will be able to show you our previously completed projects and offer you with free measure and quote service plus free design consultation if you need it. We started with two skilled patio installers offering the highest quality and competitively priced custom-designed outdoor living spaces, with up to 15-year structural warranty who understand the ins and out of residential & commercial constructions. Alongside, we hold a strong team of tradesmen who are all qualified, licensed, and insured. Our team is highly trained to perform any installation, construction & most types of outdoor home improvements. We invite you to read through our client testimonials for first-hand reviews on our services. We take pride in our extensive client base within Western Australia. Our clients come back to us time after time for a variety of great reasons, and that makes us truly happy and grateful. Check our testimonial videos here for more info. For your complimentary quote, give us a call at 08-9592-1285 and our friendly team will take care of you right away. We look forward to speaking with you and to building your preferred outdoor lifestyle environment with our premium quality materials and quality workmanship. We offer a vast selection of jarrah and timber decking suited to your preferences and resources. If you need beautiful custom designed decking in WA, contact us today for a free quote. A new redesigned patio is the perfect place for you to entertain your family of friends, whether it’s a birthday or a barbeque. Also adding a patio to your home is one of the easiest and most affordable ways to increase the value of your home.